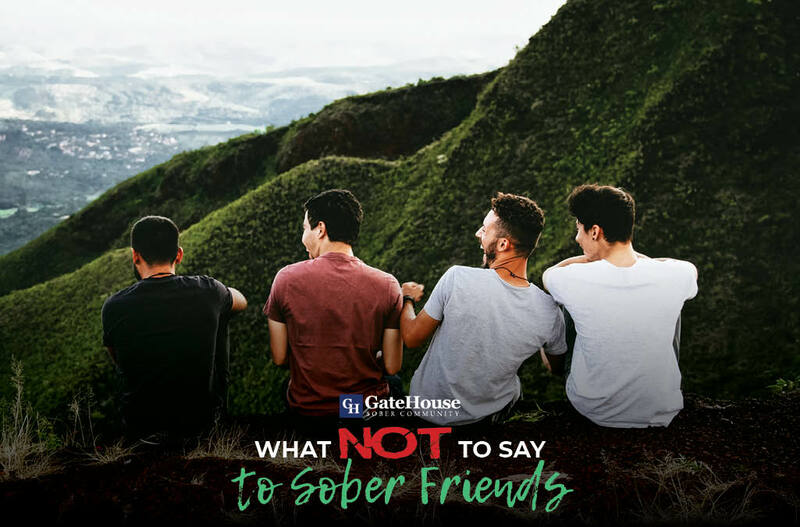 As a sober house, GateHouse Sober Community often offers advice to those who are dealing with their addiction head-on. Though we recognize that we can only control our actions and not those of others, we receive questions from family and friends about how to help those who are leaving recovery services. Recovery is a deeply personal experience, and it requires support from the people who matter most. We always have advice for those who want to avoid triggers, and here are some of the things we believe you should avoid saying. Addiction is incredibly complicated, and you might find that this question evokes anxiety. Sobriety is often more emotionally connected than many understand, and asking about it simplifies what someone is going through. Like many out there suffering from addiction, they might have been good at hiding it. Keep the focus on your friend and less on you. Instead, offer support for their accomplishments thus far. If you have not been through recovery before, you cannot actually understand how someone who has feels. Lack of understanding can minimize their experience and their feelings, which in turn can impact their emotions about their accomplishments. Recovery is not a destination, but instead a journey. Programs are not a punishment for your loved one, but instead an opportunity to learn tools and techniques to deal with their addiction. Unless someone is openly sharing their sobriety milestones, do not ask. Relapse does happen, and many struggle with the shame associated with it. The main focus of sobriety is one day at a time, and you should focus the same way. Luckily, GateHouse is a sober house near MA that provides our participants with various tools and techniques to deal with these questions if, and when, they do happen. By helping our members transfer back into society after detox, we can set them up for a better, happier, and sober lifestyle. If you or someone you love is looking for treatment after they detox, contact GateHouse Sober Community today by calling (855) 448-3638.